Take a break from stress and relax with some music with these Pioneer Steel Wheels SE-MJ71-K Foldable Stereo Headphones. 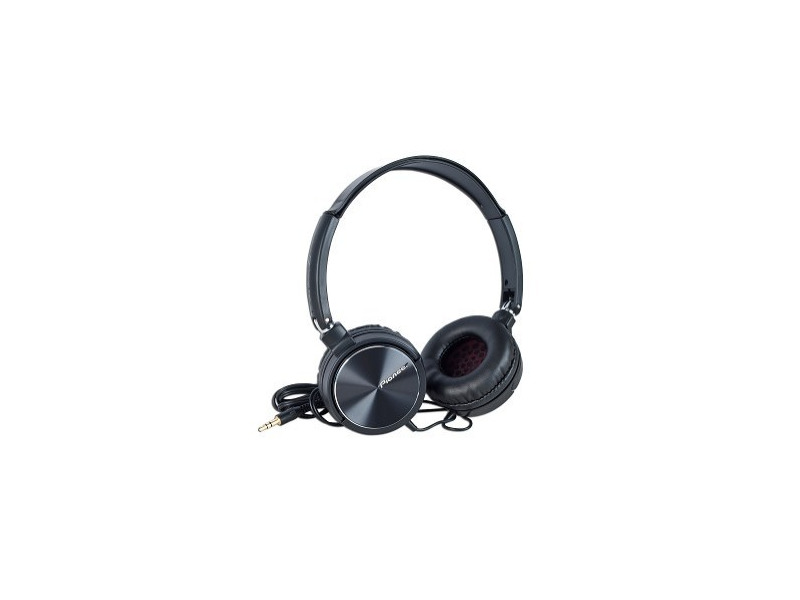 The Pioneer Steel Wheels SE-MJ71-K Headphones are DJ-inspired so they are comfortable lightweight and easy to adjust and include a gold-plated 3.5-inch headphone plug and a portable folding design for easy storage. In addition the 4-foot cable provides you with plenty of room to move!. The SE-MJ71-K also feature superior 40 mm large diameter driver 1 200 Mw Max input power and 105 dB sensitivity for top of the line audio performance. General Features:. Black Aluminum construction. Earcup design. 40 MM Large diameter driver. 1 200 mW Max input power. 105 dB Sensitivity. Deep bass. 4-foot (approximant) OFC Litz cord. 3.5 mm Gold-plated audio jack. Portable folding design. Professionally-inspired sound tuning which heightens the presentation and impact of both high and low musical notes. Headphone Specifications:. Impedance: 32 O. Sensitivity: 105 dB. Frequency response: 5 Hz to 28 000 Hz.